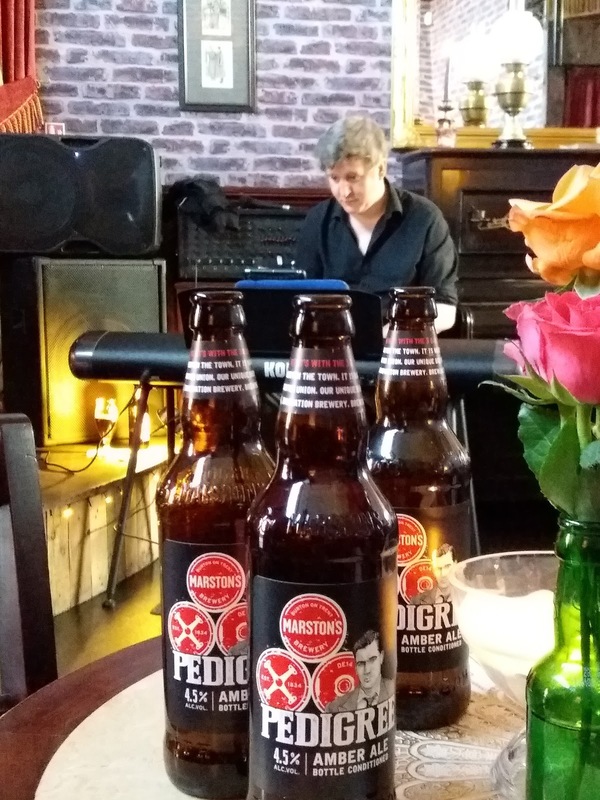 Grainger too seems to raise his already impressive game when Pete's on piano whilst Russ Morgan and fellow kitmen Matt MacKellar and Eric Stutt also never fail to deliver. From the opening Whisper Not to the closing (for me that is) Witchcraft the evening flew past in a cascade of notes. Swinging and sensitive. The known and the not so well known. The good, but never the bad or the ugly. Oliver Nelson's The Meeting; Weaver of Dreams (had there been a request from Glasgow? ); Our Spanish Love Song (Charlie Haden); On the Sunny Side of the Street; Alec Wilder's Moon and Sand; Bouncing With Bud; Tenderly; Take the A Train; Opus de Funk and Old Folks were the other tunes I heard. Even without Benny Carter, Ava Gardner and Gregory Peck. Ernest Hemingway's presence was still felt. 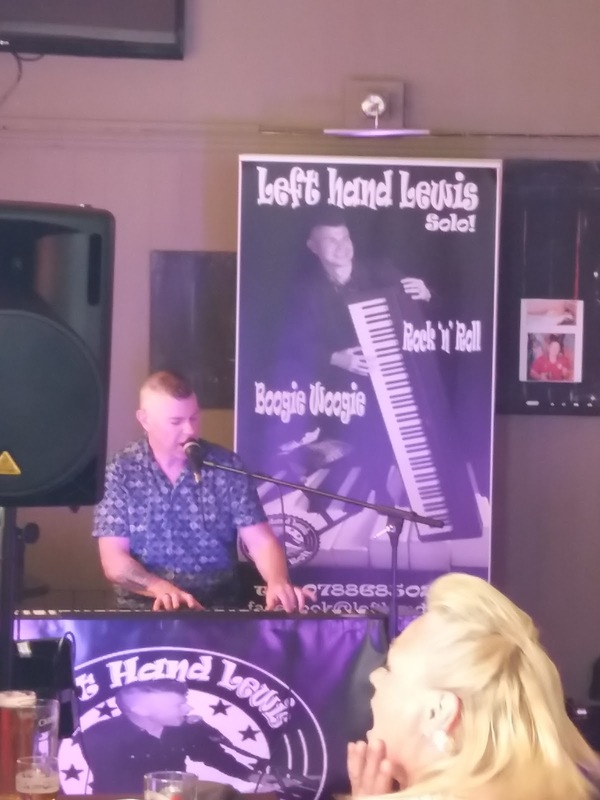 Left Hand Lewis (piano/vocal) @ The Wardley Hotel, Bill Quay. 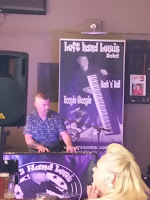 Hemingway's presence hadn't reached the Wardley Hotel some 3 or 4 miles down river where Left Hand Lewis was rockin' and rollin' in the best tradition of his namesake Jerry Lee. The bank holiday drinkers were up for it as LHL pounded the keyboard into near submission and gave his vocal chords a workout as the patrons boogied and woogied. I liked the words on one of the reveller's tee-shirt: "I may be old but I've seen all the good bands". A sentiment I'd go along with although we'd probably be at odds as to who the good bands were! Nevertheless, an entertaining start to the evening. *Snows of Kilimanjaro YouTube clip.